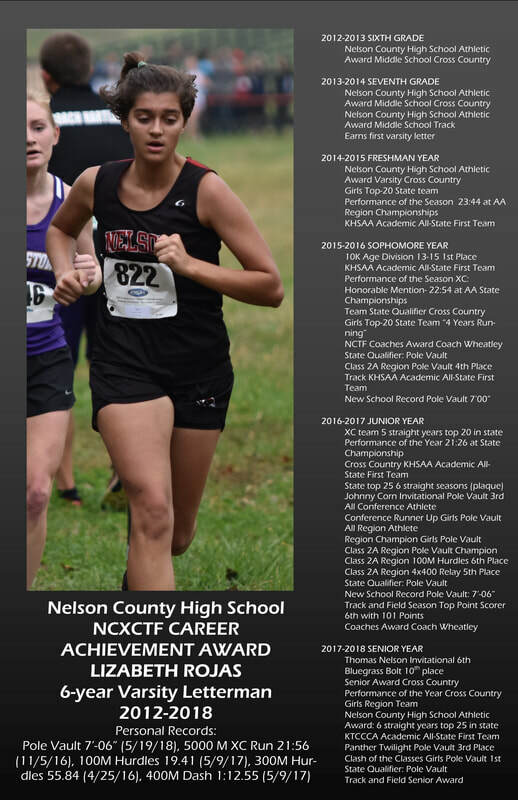 Welcome to NCXCTF.com, the online home of the Nelson County Cardinal Cross Country and Track & Field teams! 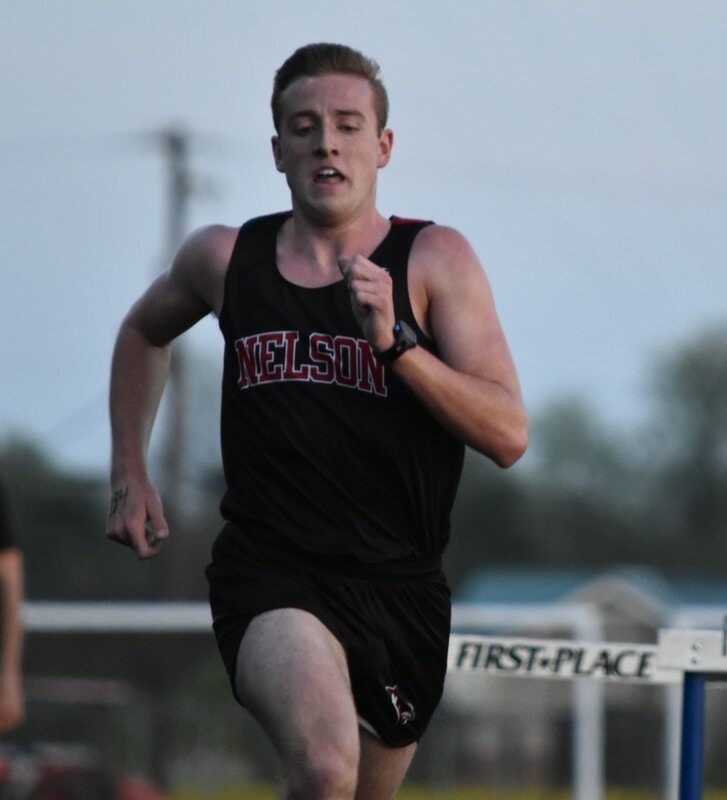 Nelson County High School, located in Bardstown KY, is a charter member of the Mid-Kentucky Athletic Conference and currently competes in Class AA Region 2 in both Cross County and Track & Field. The 2018 Cross Country season was a history-maker for our program, as the girls team won both CONFERENCE CHAMPIONS and REGION CHAMPIONS. 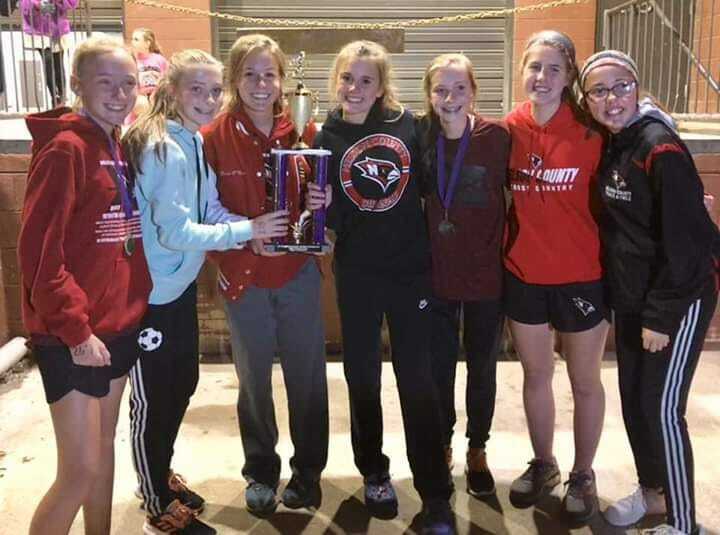 The girls finished in the STATE TOP-TEN for the first time since 1981 and had two ALL-CONFERENCE and ALL-REGION athletes, with two of our runners named to the Kentucky Freshmen All-Star team that finished NATIONAL RUNNER-UP. They've finished in the state top-25 for 7 YEARS RUNNING! The boys also had a great season, with two ALL-CONFERENCE and ALL-REGION ATHLETES and one ALL-STATE ATHLETE. The boys have finished in the state Sweet Sixteen for FOUR STRAIGHT SEASONS, and had two runners named to the state All-Star Team that competed at the Foot Locker NATIONAL CHAMPIONSHIPS! 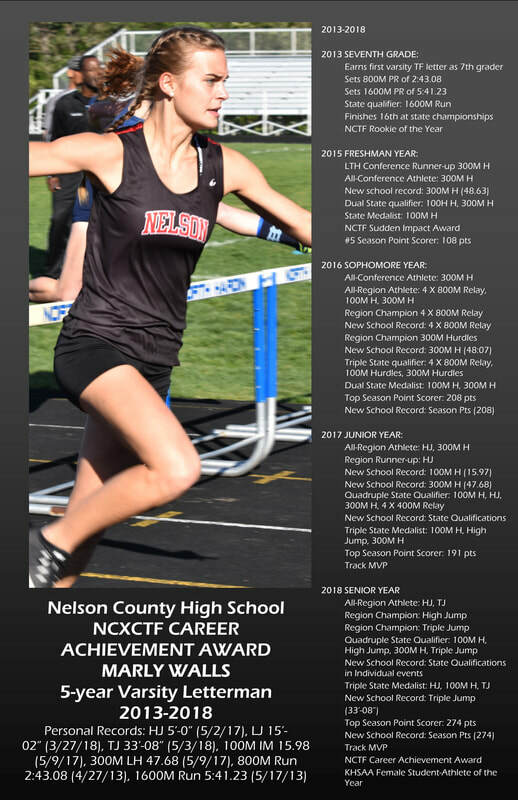 The 2018 Track & Field season continued our historic success, with over 30 region medalists, 12 state qualifiers, 4 state medals, a top-five athlete for the 7th straight year, a state top-25 for the fourth season running, and the KHSAA STATE TRACK ATHLETE OF THE YEAR. ORDER YOUR WARMUPS/SPIRITWEAR THIS WEEK! SEE THE "TRACK & FIELD" PAGE FOR THIS SEASON'S ORDER FORM! NEED PARENTS TO PITCH IN WITH CONCESSIONS AND MORE! 4:30-8:30! WE NEED YOU!! UPDATED TEAM HANDBOOK AVAILABLE FOR DOWNLOAD! HEAD OVER TO THE "TRACK AND FIELD" PAGE FOR SEASON SCHEDULE AND MORE! HEY YOU! WANT INSTANT UPDATES? stream of updates and reminders straight from Coach B! It's INSTANT ACCESS! JOIN TODAY! R E G I O N C H A M P I O N S ! ALL THAT AND MORE ON THE "CROSS COUNTRY" PAGE! 2018 MID-KY CONFERENCE XC CHAMPS! Congrats girls! And congrats to Christiana Brittian and Jennah Dossett for being named to the girls' All-Conference team and Dakota Brady and Jackson Boone being named to the boys' All-Conference team! 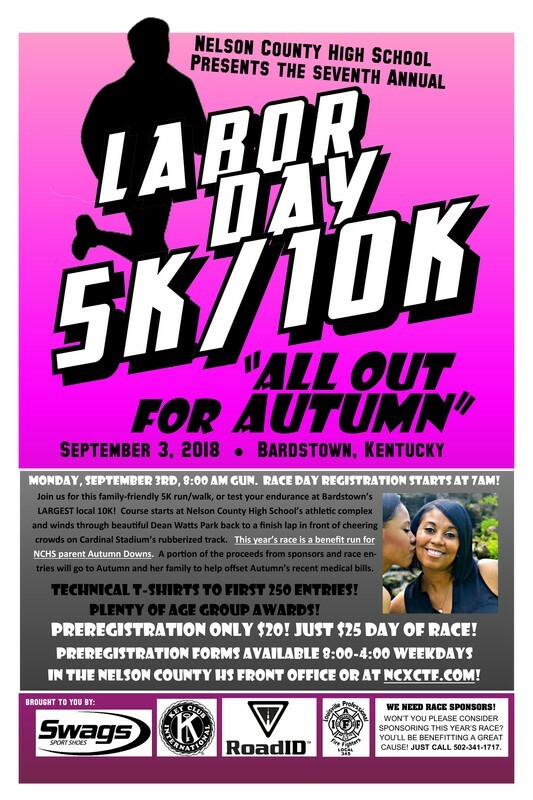 Head over to the "Labor Day 5K/10K page for all the times from the seventh running of our annual road race! 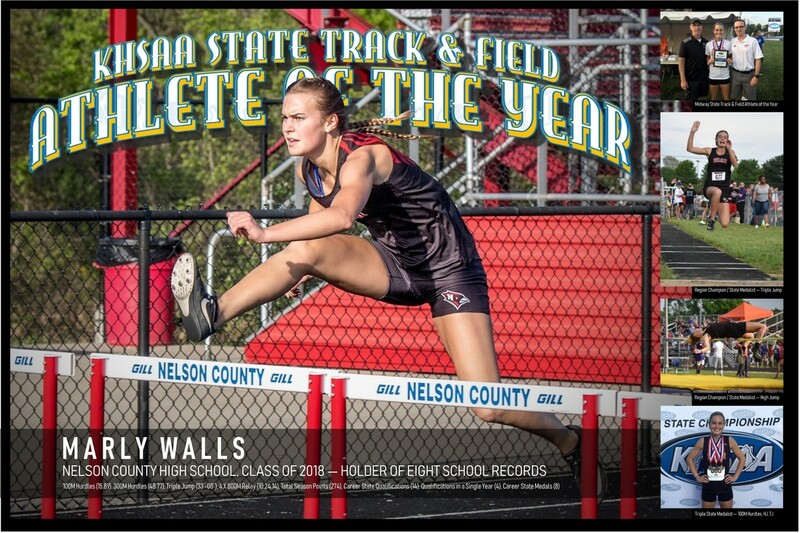 NCTF SENIOR MARLY WALLS EARNS KHSAA STATE ATRACK ATHLETE OF THE YEAR FOR CLASS AA BEHIND SCHOOL'S FIRST 4-INDIVIDUAL-EVENT STATE QUALIFICATIONS AND 8 SCHOOL RECORDS! REGULAR SEASON WORKOUTS UNDERWAY! COME JOIN US! WORKOUTS ARE MONDAY THROUGH FRIDAY FROM 3:30-5:30. MEET AT THE NCHS TRACKHOUSE! CLASS OF 2018 EARNS THREE NCXCTF CAREER ACHIEVEMENT AWARDS! Recent NCHS graduates Lizabeth Rojas, Jacob Lanham, and Marly Walls all earned Career Achievement Awards at the 2017 TF banquet in June. Check out their amazing list of accomplishments below! NCTF'S Loren Seely and Alisha Allen sign to continue Track & Field careers at Midway University! "Always drink an 8 ounce glass of water right when you get up in the morning. You wake up in a dehydrated state. Think about it--when else do you go for 8 or more hours with nothing to drink? It'll probably taste nasty to you when you first start doing it, but you'll get used to it." 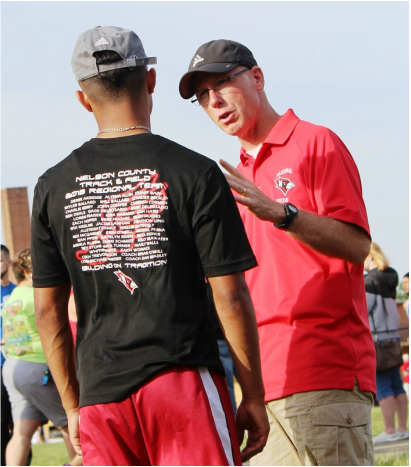 AT LEFT: Coach Bradley tells the outstanding NCTF dual-state-qualifying hurdler John Cooper ('15) about whatever was above in the "Coach Says" feature. Coach's Clipboard Training plans and practice schedules that will not only benefit athletes of both sports, but YOU too! 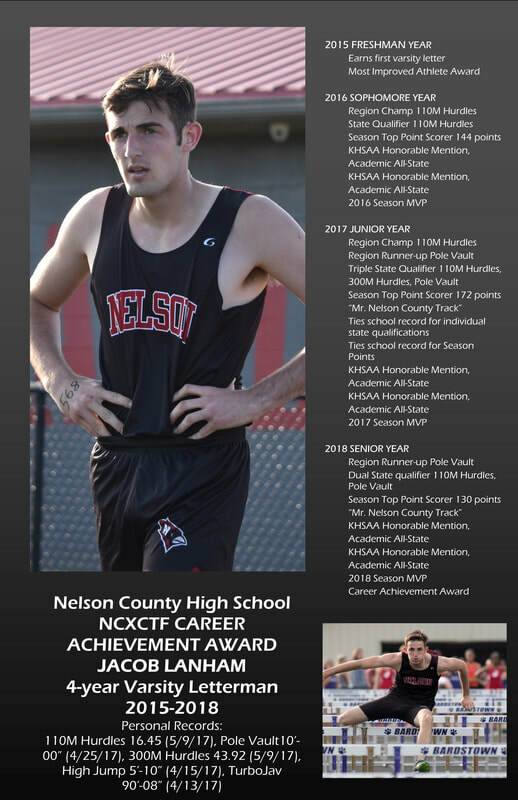 The Summer 2017 Cardinal Spotlight goes to our recent graduate Austin Mattingly, who finished out his NCXCTF career in tremendous fashion with a sub-2:00 800M for a 4th place finish at the state championships. He and classmates Kelsey Hughes and Kira Harman all received Career Achievement awards at banquet in June. CONGRATS! 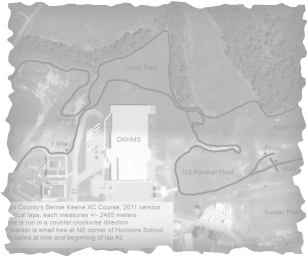 Almost 5 years ago, the NCXC Class of 1993 will be celebrated their 20th reunion. Can you believe that? And Coach Bradley had hair! Can you believe that? (2012's Track & Field MVP Trey W.'s dad Kyle C. is back row, third from right.